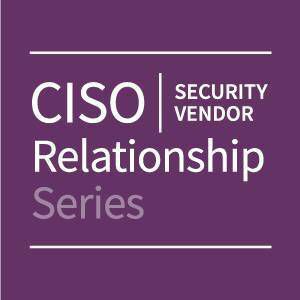 The CISO/Security Vendor Relationship Series examines the mutual dependency and conflict that exists between buyers and sellers of cybersecurity products and services. Comprised of articles, videos, a podcast, newsletter, and webinars, the series is focused on the relationships within and between both groups, and how they manage individually and as partners to protect and combat increased cyber attacks on an ever-widening and complicated surface area. This series is designed for everyone involved in the security ecosystem. If you want to know what goes on in the mind of a security professional, especially a CISO, then you need to read, watch, listen, and most importantly contribute. Whether you’re a CISO or a wannabe CISO, the series delivers inside tips on how to manage a security team, and how to focus your precious resources to create a secure environment for your employees and customers. We also get the insight from security vendors as to best practices and what it takes to truly form customer partnerships. 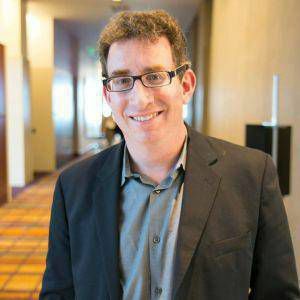 David Spark (@dspark) is the creator, author, and producer of the CISO/Security Vendor Relationship Series. He’s a veteran tech journalist and founder of Spark Media Solutions, a B2B content marketing agency for the tech and security industries. Spark has been the creative director, producer, voice, and face of many content marketing campaigns for numerous Fortune 1000 B2B tech and security companies. For more than 23 years, Spark and his articles have appeared in more than 40 media outlets including eWEEK, Wired News, Forbes, PCWorld, ABC Radio, John C. Dvorak’s “Cranky Geeks,” KQED’s “This Week in Northern California,” and TechTV (formerly ZDTV). Spark has also worked for many advertising agencies, most recently Publicis Dialog where he launched the agency’s new media department. Outside of tech, security, and marketing, Spark squandered more than a dozen years working as a touring stand up comedian, a San Francisco tour guide, and comedy writer for The Second City in Chicago. What CISOs Want: The CISO/Security Vendor Relationship Series boiled down to just the best parts in a 1-hour or less presentation. Perfect for sales teams eager to try to understand the CISO mind. More Schmooze, Less Snooze: How to Deliver “The Most Talked About” Conference Session: Interview and crowd control techniques primarily for moderators, but also panelists and even audience members on how to run a session that attendees rave about. Business Networking Pickup Lines: Entertaining games and exercises that teach the art of business flirting. 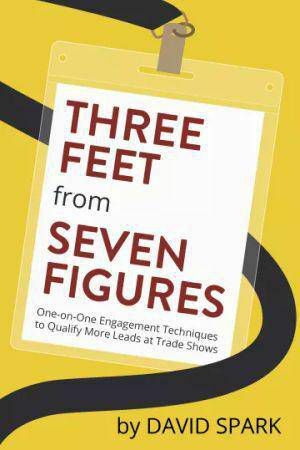 Three Feet from Seven Figures: One-on-One Engagement Techniques to Qualify More Leads at Trade Shows: When manning a trade show booth, how do you stop, engage, and qualify potential leads? This program is based on Spark’s critically-acclaimed book of the same name.